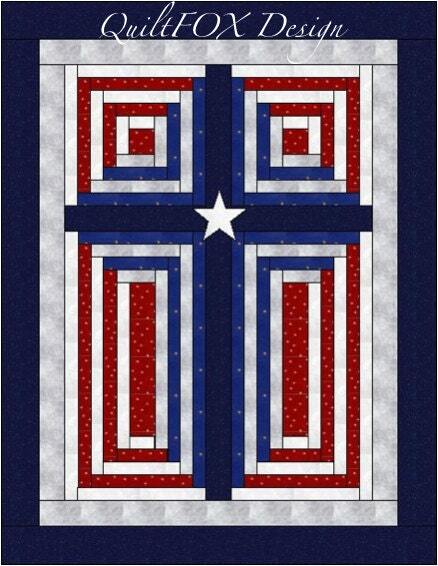 Cross quilt - Patriotic cross - God Bless America - Paper Pieced cross - 17"x22"
This Log Cabin Christian Cross is the smallest version of my Log Cabin Cross Design. Due to the small size, I created Foundation Papers to make the piecing easier for the small pieces. 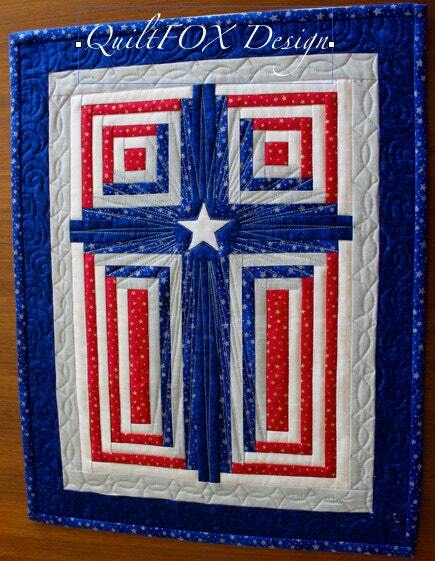 - block piecing and quilt assemble guide demonstrated with lots of images and it is easy to follow. Open the pattern with the latest version of Adobe Acrobat PDF Reader to display and print everything correctly. Print it in booklet format to save ink and paper. Print the templates/foundation papers with”Actual size” printer settings.